I hate to be negative, but some of the most ridiculous things I have ever read about diving come from diving message boards. This is especially true at the technical level. For example, I read a lengthy thread a few nights ago where someone posted a question about choosing a wing for a set of doubles. It cracks me up because even though the question was about lift capacity and redundancy, immediately several people chimed in to go off against wings that have bungies. Others, though, attempted to answer the actual question. This statement stopped me cold, yet not one person questioned it. First thing I did was run the profile with the lowest helium mix that had a reasonable END—165’. Some consider that too deep, but I just wanted a low helium mix to minimize required decompression for that 30 cu ft deco bottle. I’ll get back to the viability of “swimming up” those LP85s in a minute. So I ran the profile a few different ways and came up with a minimum deco time of 156 minutes (RT 181), requiring 312.5 cu ft of back gas and 32.7 cu ft of O2. That’s at a relatively miserly SAC of .6 for the working phase and .5 on deco stops. This is all using VPM-B, BTW, which wouldn’t be my first choice, personally, but that’s what yielded the shortest dive. Here’s the thing. This dude is absolutely full of crap, yet people listen to him like he’s a sage. I’m no mathematician, but I do know 85+85 doesn’t equal 312.5. And, I know 32.7 is not equal to 30. That doesn’t even account for reserve gas. And, even if it was enough gas, who in their right mind would get into a situation where the closest thing you can breath is 260 feet away?! As for “swimming” his “balanced rig” to the surface. Deco stops on that dive would start at 190 feet. Several of the stops are over 10 minutes, with one at 28 minutes, and the final for 37. This idiot is going to swim 190 feet of deco for 156 minutes?! Good luck with that! In my opinion, there are a lot of practices being thrown around that make perfect sense in Florida caves, but none at all in cold open water. Every drysuit manufacturer I know of warns against relying on a drysuit for backup buoyancy. Of course, the drysuit plays a role in buoyancy control, but in cold water you’re going to be very negative, no matter what back cylinders you are using. The recommendation for using AL80s doesn’t work in cold water either. It’s not the tanks that are the issue, it’s the thick undergarments. You’re going to have to sink it all somehow. AL80s will require you to make up the difference in lead. Most divers (including me) prefer to distribute that weight in the form of steel cylinders, rather than concentrate it on a weight belt or in pockets. At the start of a deep dive requiring two deco gases, a diver using double LP85s, and two AL80s for deco, might be 30 pounds negative under some circumstances. There is simply no way to “balance” that rig by the GUE definition and still survive the cold. You need a realistic backup. In this scenario, the drysuit is insufficient because over-inflating it vastly increases the likelihood of blowing out a seal, or worse, your zipper. The other thing I read all the time is that anything more than 40 pounds lift is a sign of an “unbalanced rig.” Again, under what circumstance? Warm water, okay, sure. In general, during most dives, I can see it. But, a dive begins and ends at the surface, and at the end of a long drift deco, all it takes is a little wind swell to put your head underwater much of the time. If you’re going to be waiting for a boat, or have a long surface swim, a few extra pounds of lift can add a huge margin of safety by getting your face up out of the water. 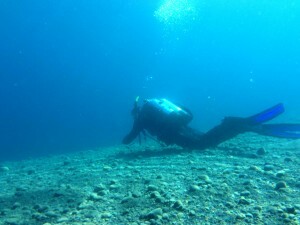 What bugs me about message boards is the number of divers with limited knowledge and little experience, preaching about diving practices (and equipment) based purely on hypotheticals and rules handed down by one or a few individuals diving in a single, relatively controlled environment. Sorry, but most of these “experts” are phonies. If you need backup and more lift, get it. Practice with it. Use it. It’s all fine to talk about on dry land, but if you are 190 feet down in open water facing close to 3 hours of deco, swimming your rig to the surface IS going to get you hurt, and probably killed. Try to imagine being in that situation. You have almost 200 feet of water above you with 2 1/2 hours of decompression stops. Guess how efficient your decompression is going to be when you are all over the place depth-wise and panting like a labrador? How awesome is that 40 pound single wing now? One point that was made, and comes up frequently, is whether or not a backup bladder should be left connected. There are valid arguments for either case, and inflators DO get stuck from time to time. But, the buttons don’t push themselves, so I’m not 100% sure of the danger leaving it connected. Whatever you decide, be sure to practice often getting to it and establishing neutral buoyancy. And, meticulously maintain your gear, especially in salt water. Everybody has an opinion. Those that I read on message boards almost always seem to originate from one well known individual diving Florida caves. Look, diving in caves is serious business. But many of the things that will get you killed in a cave are different than those that will get you killed in cold water, open water, ice, or some other environment. 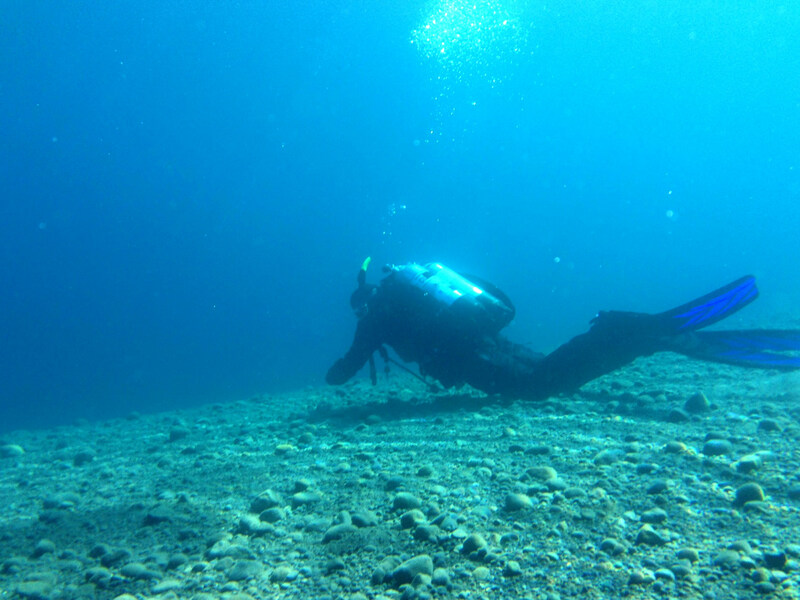 The key to diving safety is to know your environment and practice. If there’s a chance you may need to orally inflate a backup bladder, practice that until you can do it easily. Practice holding deco stops without a reference. Practice surface swimming stages. The key to safe technical diving is to learn everything you can, practice until you achieve true mastery of every possible skill, stay in shape and not believe everything you read. This entry was posted in Diving Safety, Technical Diving and tagged backplate, BCD, diving equipment, diving safety, lake tahoe diving, oms, tec gear, tech gear, technical diving.